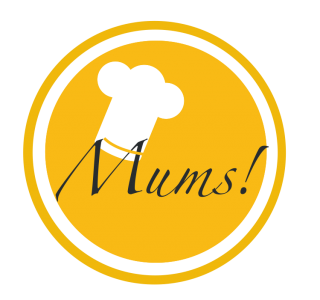 Lamb burger with a warm feta cheese dip and tahini dressing – Mums! Today, the whole family cooked together. We – i.e. my girls – picked the dish: burgers. Burgers are great because the kids can help chopping veggies and kneading the meat. And an individual burger compilation means everyone gets exactly the burger he or she wants. I started with frying the bacon. For the burgers, I mixed the minced meat with salt and pepper (beef) as well as with cumin (lamb). I formed burgers and fried them in the bacon fat, for additional flavor. For the feta cheese dip, I roasted feta cheese and mixed it with cream cheese and chopped fresh mint. No salt was needed, as the feta cheese was salty enough. For the tahini dressing, I mixed tahini with natural soy yoghurt and lemon juice. I didn’t add any salt, as the feta cheese dip got quite salty. As a very last step, I toasted traditional and whole-grain buns. The kids had beef burgers with traditional buns, bacon, tomato, pickles and lettuce accompanied by ketchup and mayonnaise. The adults were served lamb burgers with whole-grain buns, a warm feta cheese dip, tahini dressing as well as lettuce, shallots and cucumber. Delicious!